Janwar Gupta, a brilliant but neurotic medical student intern, has a patient die under suspicious circumstances at the start of his two-week anaesthesiology placement at the Ottawa Civic Hospital. Certain of his innocence, Janwar bumbles his way through a criminal investigation focused on two feuding groups of anaesthesiologists and navigates a romance with journalism student and barista Susan Jonestown, the book’s real hero, who is investigating a drug trafficking conspiracy involving the Civic Hospital, the Hells Angels, and a network of dog walkers—with ties to Janwar’s current place of employment. 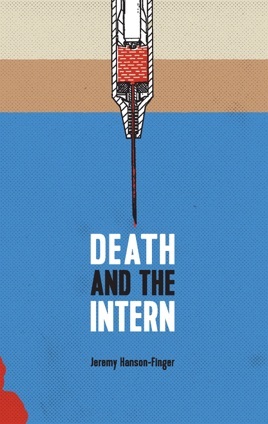 Featuring an ensemble cast of unscrupulous, high-strung, and hilarious characters, Death and the Intern twists and subverts the hospital drama and hard-boiled detective genres with equal parts humour and pathos.